Professor Grill told BIST postdocs about his experience as a physicist working in biology with a multidisciplinary team. 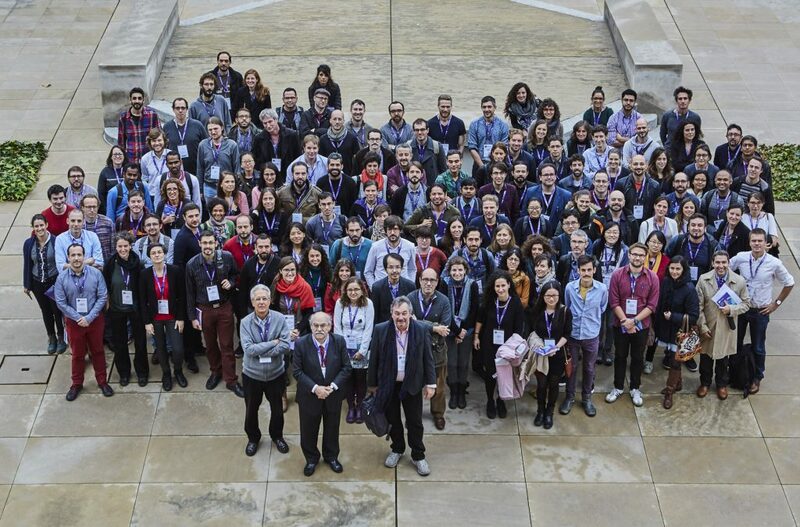 Nearly 200 postdoctoral researchers from the six centers that make up the BIST met yesterday in the Sant Pau Art Nouveau Site to participate in the first BIST PostDoc Day. The aim of the meeting was to create a space that allows postdoc researchers to share their expectations and concerns, to learn about the experience of researchers that have become entrepreneurs or group leaders, and to suggest ideas on how BIST can support and enhance their professional careers. Professor Miquel Angel Pericàs, director of the BIST and ICIQ, kicked off the meeting by highlighting how important the postdoc community is to the BIST fully achieving its goals. Pericàs recalled that BIST wants to strengthen the research capacity of the six centers that make up the institute by promoting multidisciplinary cutting-edge projects, but above all by fostering its researchers’ potential through innovative training and talent-development activities. The program of BIST PostDoc Day #1 featured a keynote speech by Professor Daniel Gerlich, group leader at the Institute of Molecular Biology in Vienna, who spoke about Assembly and function of cell division machinery, stressing the importance of collaboration between biologists and bioinformatics to the success of their research. The second keynote speaker was Professor Stephan Grill, from the Dresden University of Technology, who shared his experience as a physicist working in the field of biology. Professor Grill was working in astrophysics when he was drawn to biology while attending a conference. His research currently focuses on the mechanisms that determine morphogenesis. Professors Gerlich and Grill participated in the panel discussion entitled The next step: Should I stay or should I go?, joined by Stephen Dunne, managing director of the company Starlab, and Laura Nevola, CSO of the start-up IDP Pharma. The panelists shared their experiences in going from postdoc fellows to group leaders or how they made the decision to leave academics for industry. In the debate, the postdocs expressed some of their concerns, like for example how to know if you have a future as a researcher or should explore other options beyond academia, and how much freedom researchers have when working for a company. Professor Grill explained, “Postdocs have to be able to realistically evaluate their own situation” and act accordingly. Personal commitment and passion for the project is key in deciding whether to continue or look for other options. Both Professor Grill and Professor Gerlich stressed that to have a successful research career you have to be ambitious, take risks and manage risks properly. 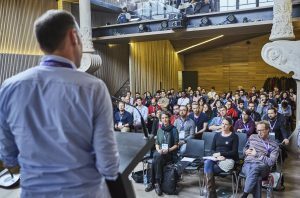 The first BIST PostDoc Day, that has received support from the Generalitat de Catalunya, closed with an “Unconference Session” that gave participants the chance to share information and ideas in an informal setting. In his closing remarks, Andreu Mas-Colell, president of the BIST, thanked the postdocs for their enthusiastic participation and their effort in organizing the event.